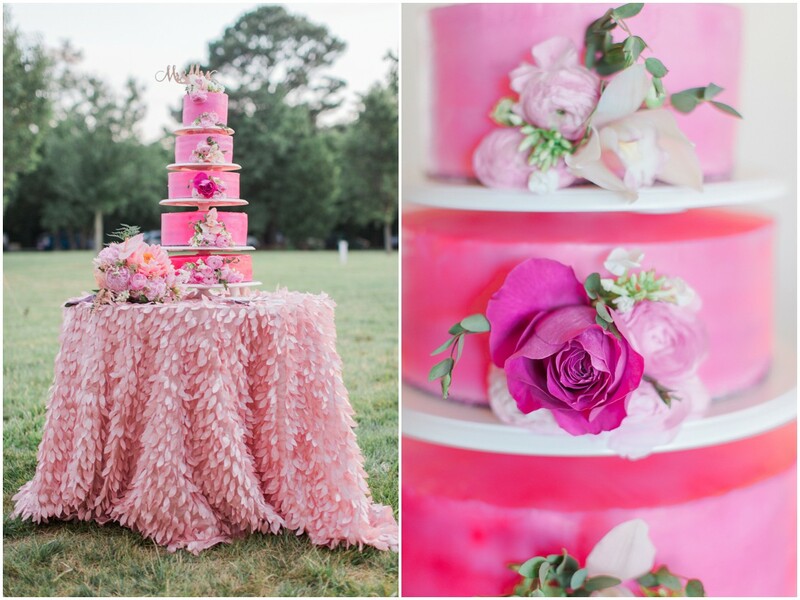 Lace, lush florals and and a show-stopper of a cake–we’re smitten with this pink-hued soirée! 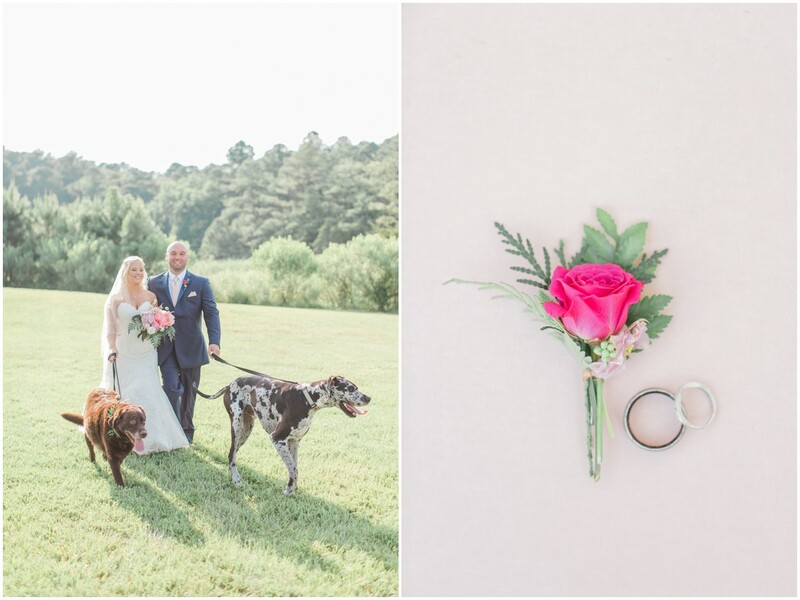 Jenna and Daniel tied the knot on the banks of the Bay, surrounded by family, friends, and their seriously adorable pups. 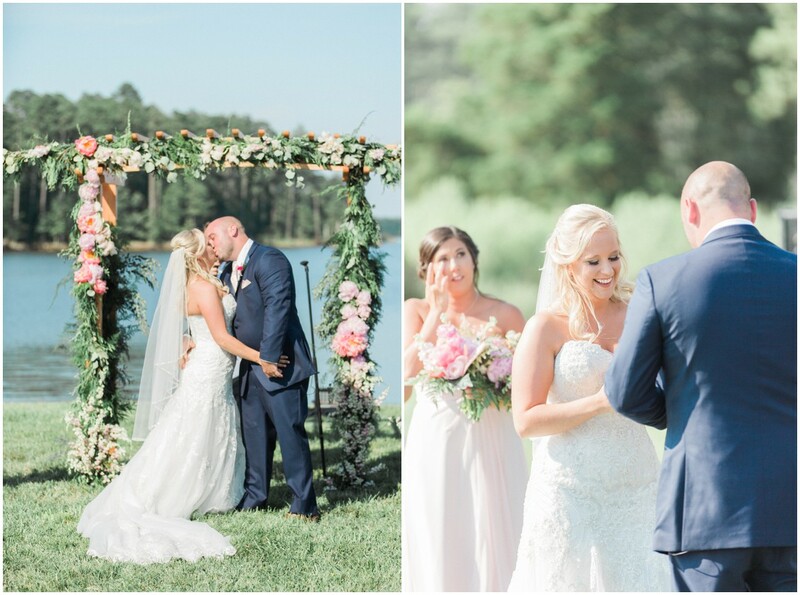 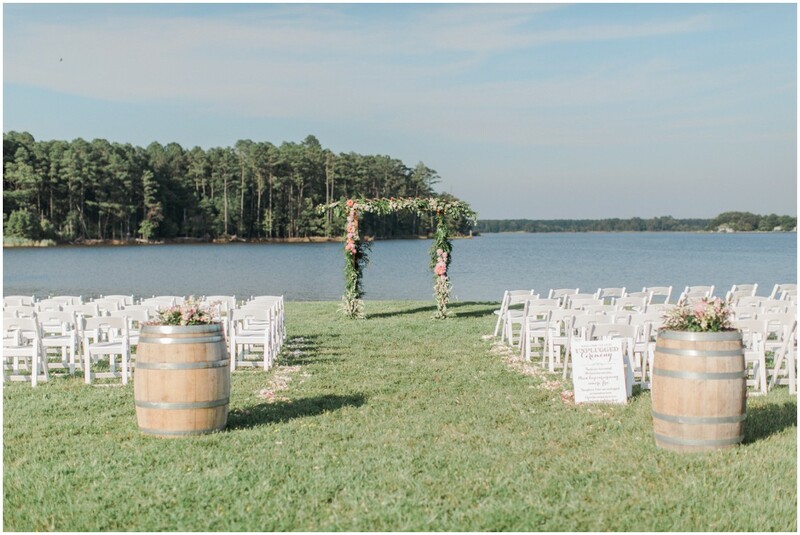 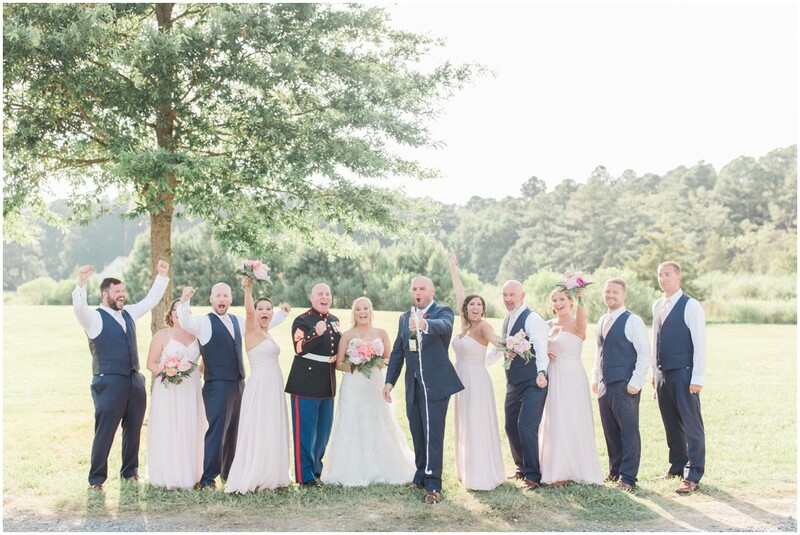 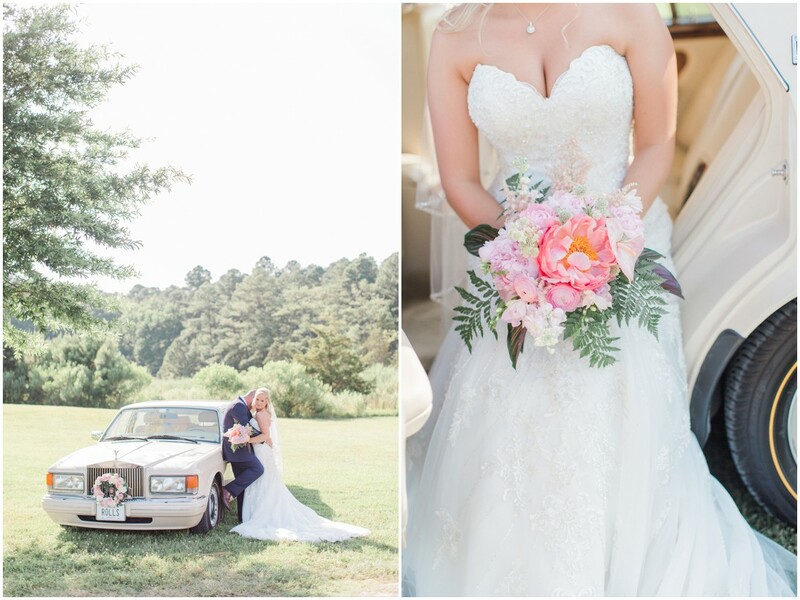 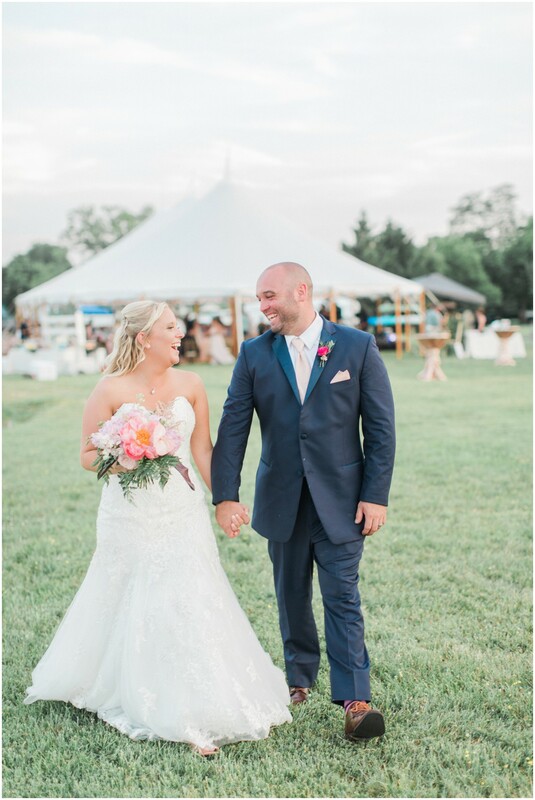 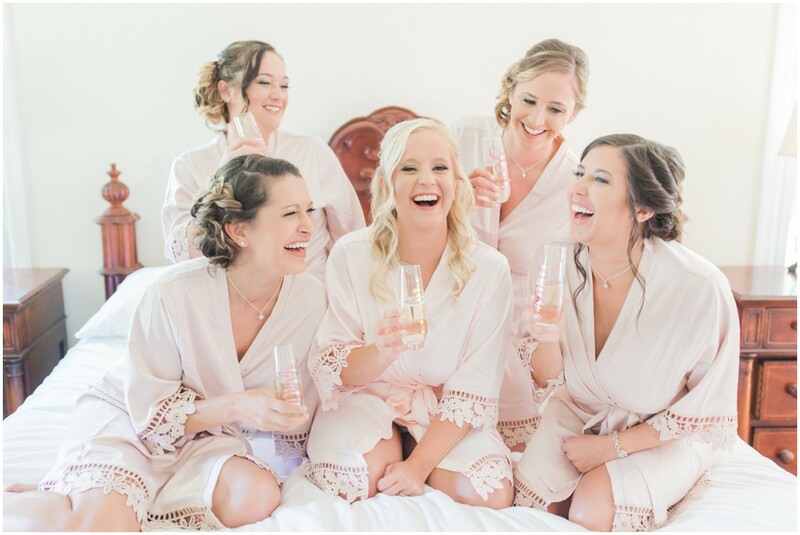 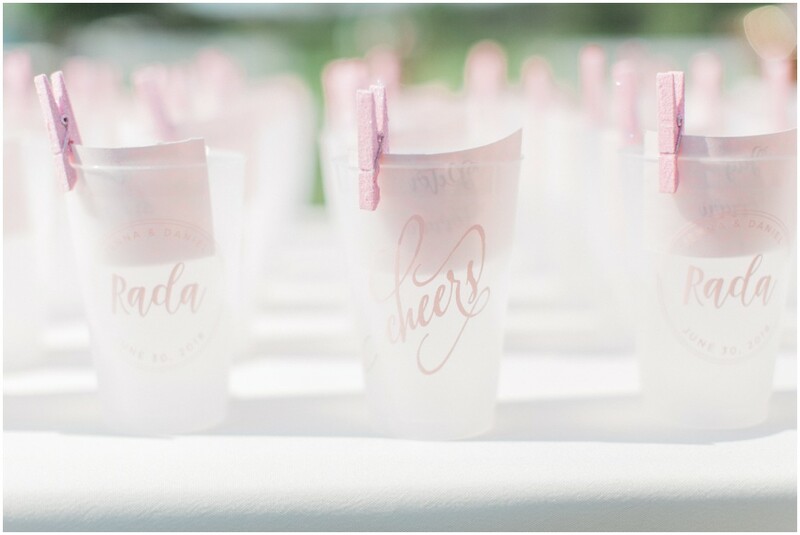 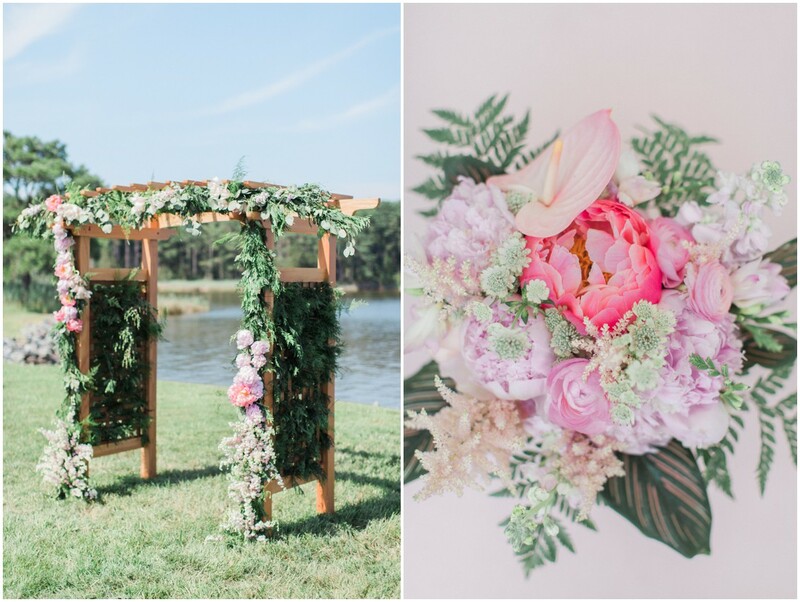 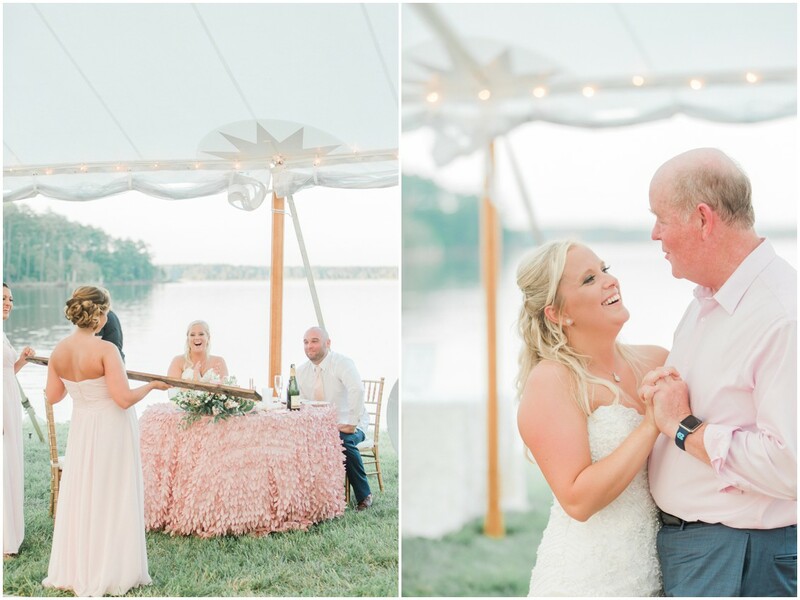 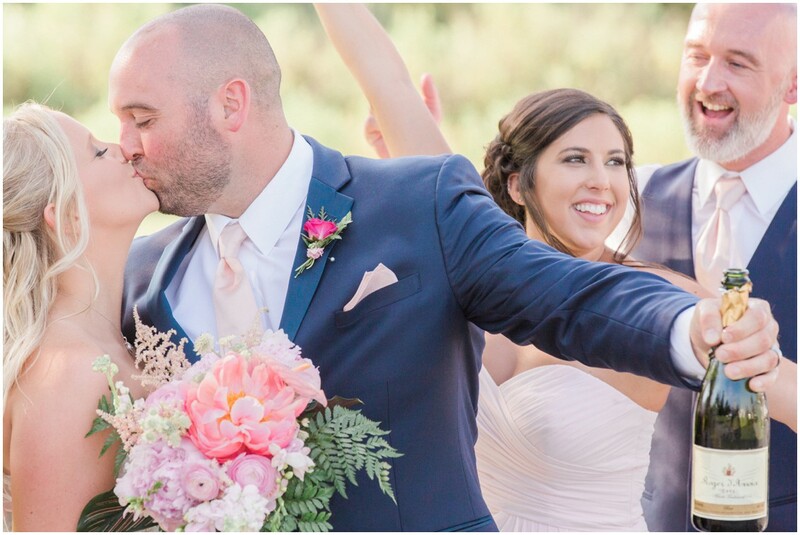 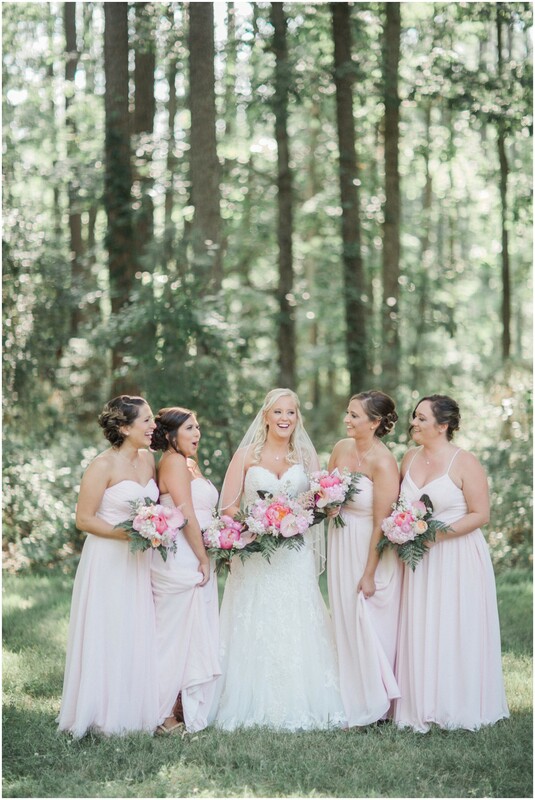 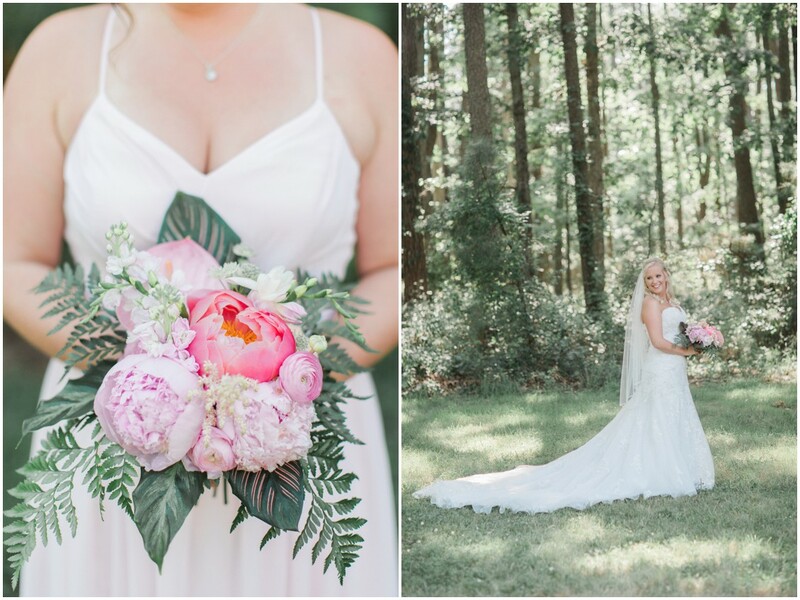 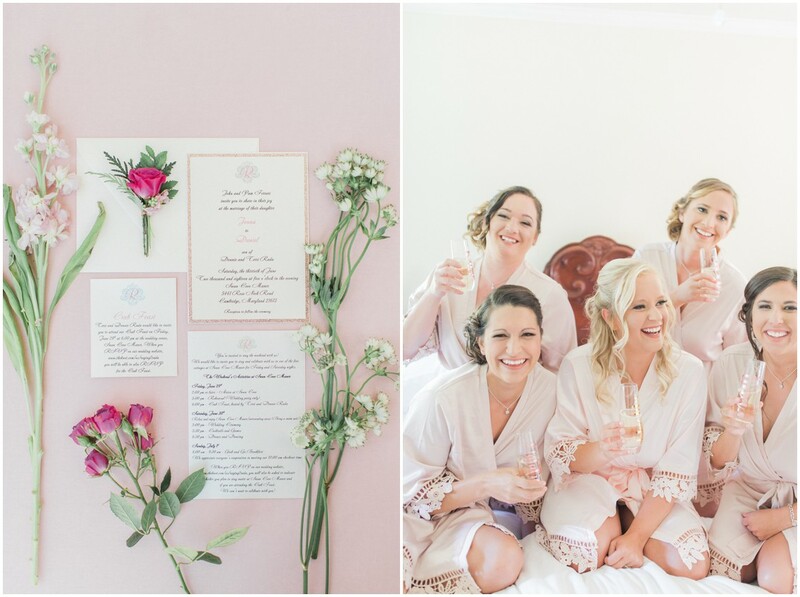 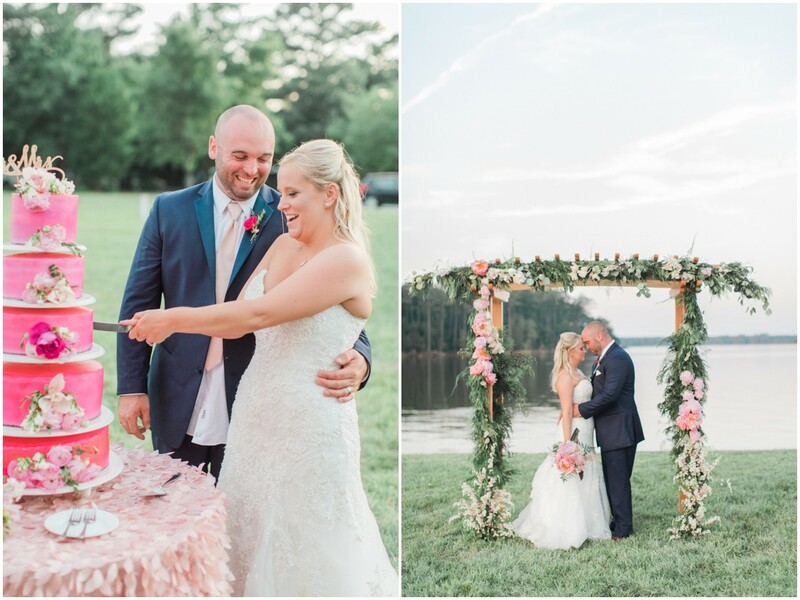 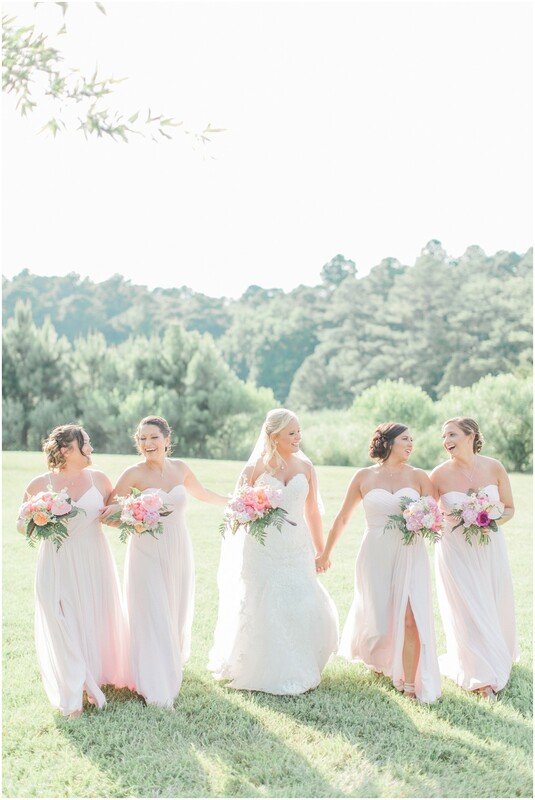 Beautiful backdrops and lots of love & laughter, their day features all the quintessential pieces of a pretty-in-pink Eastern Shore wedding! 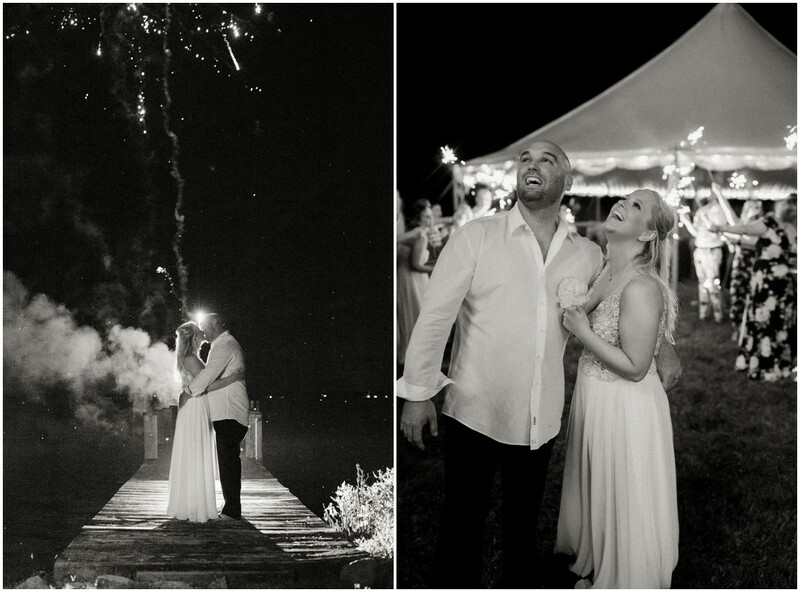 From Dyanna LaMora Photography: Jenna and Daniel light up whenever they are together. 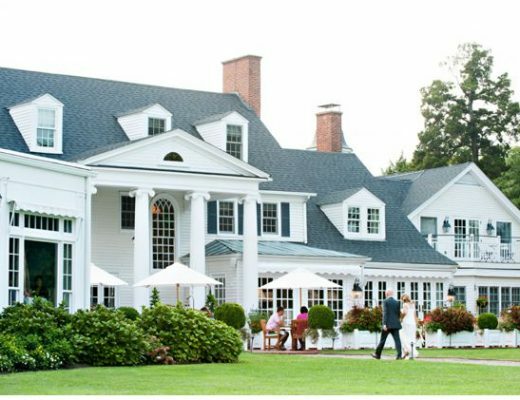 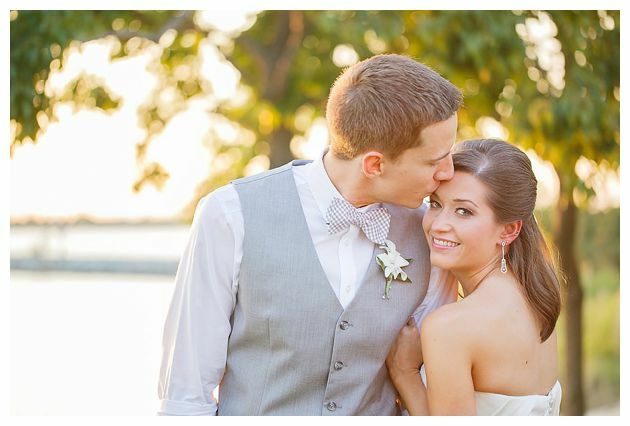 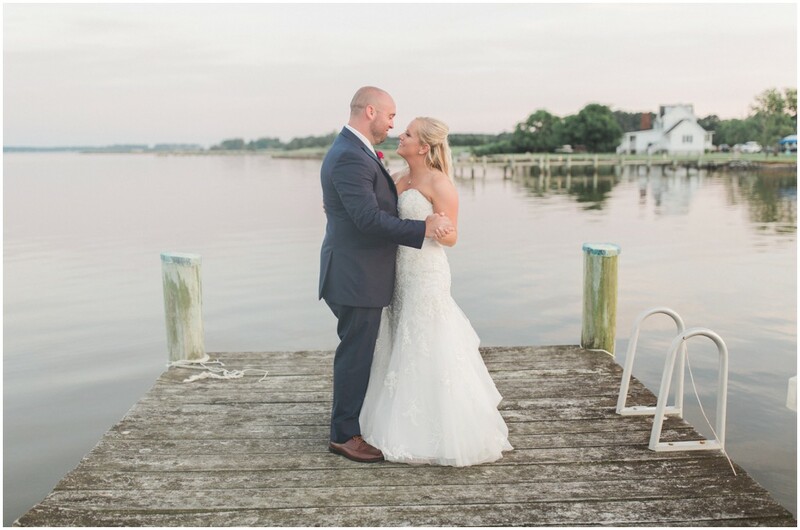 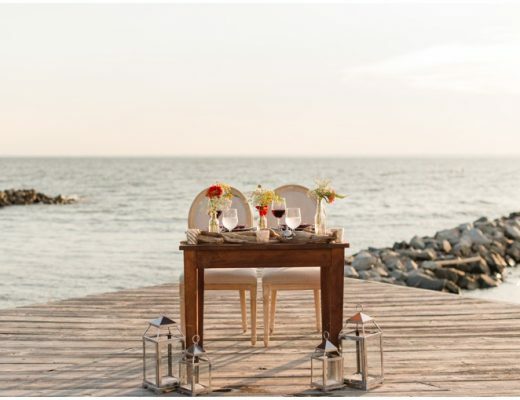 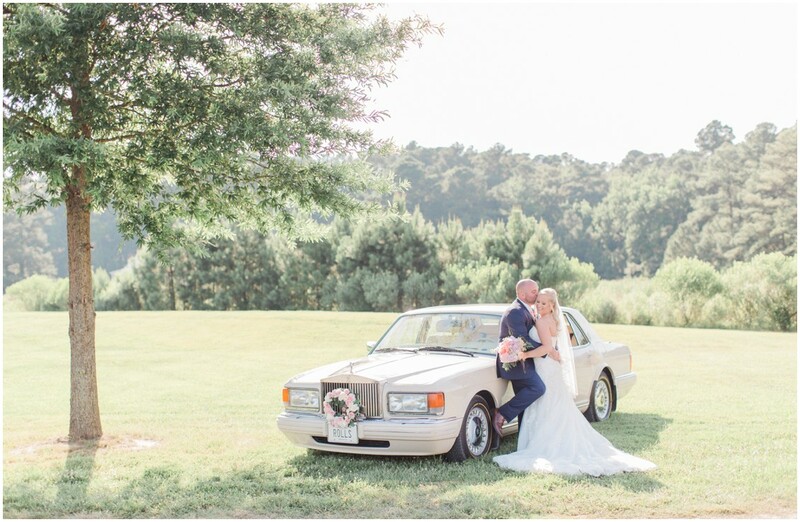 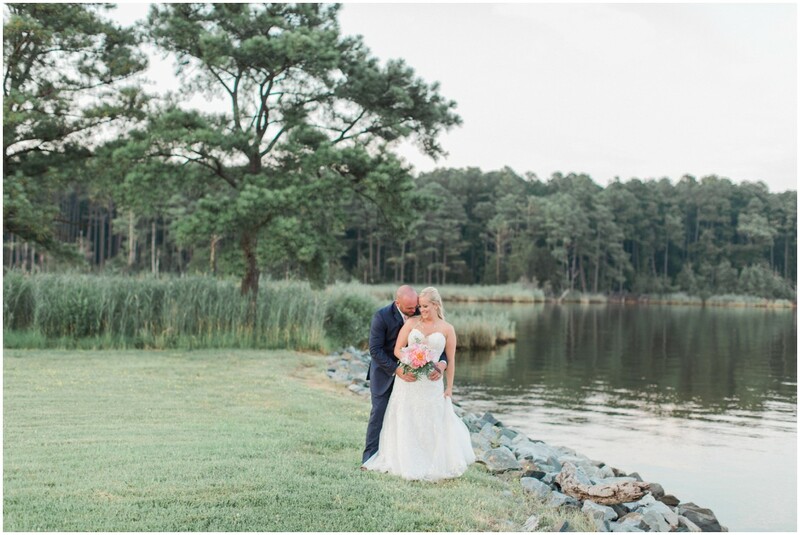 They were married on a warm June day along the Chesapeake Bay at Swan Cove Manor. 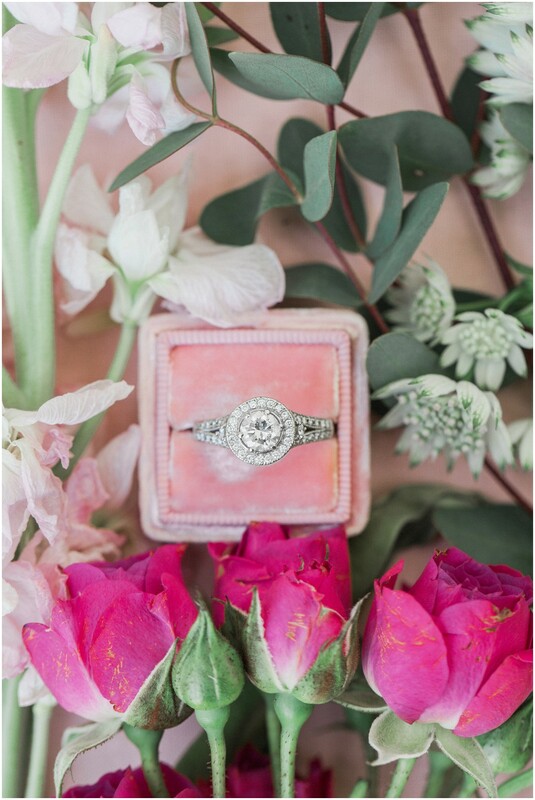 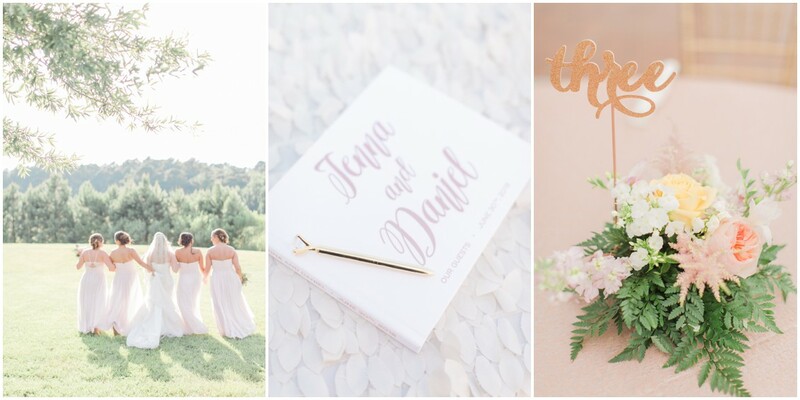 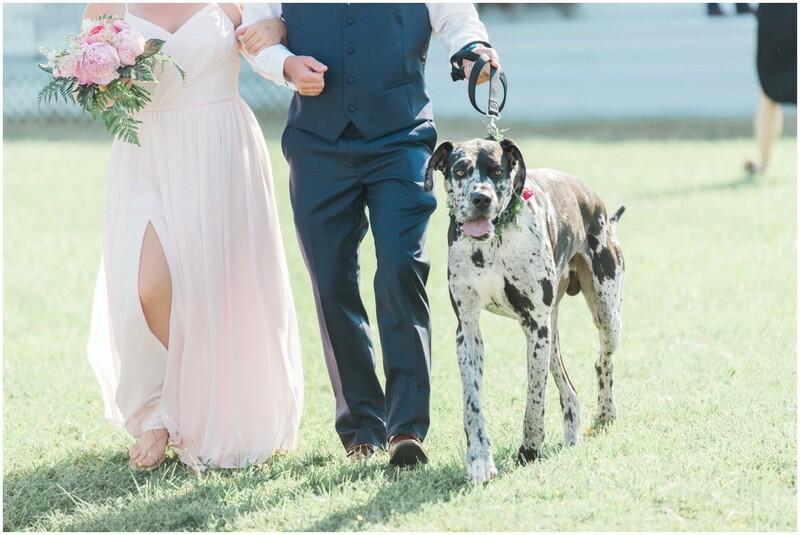 They incorporated all the things they love into their wedding day: their dogs, the outdoors, woodwork created by Daniel, a big beautiful bar, dancing, and fireworks. 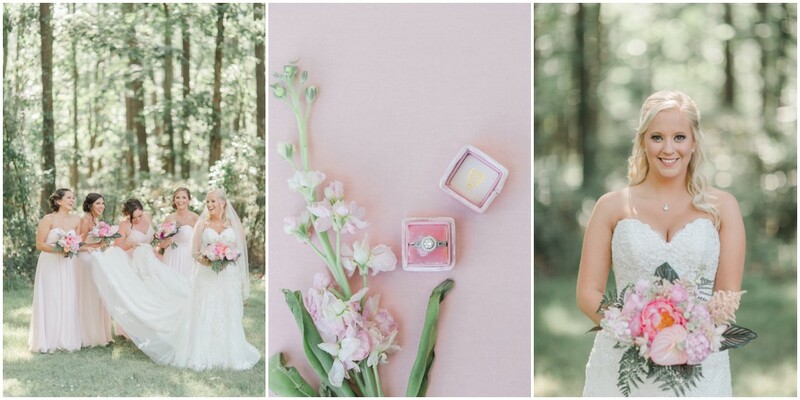 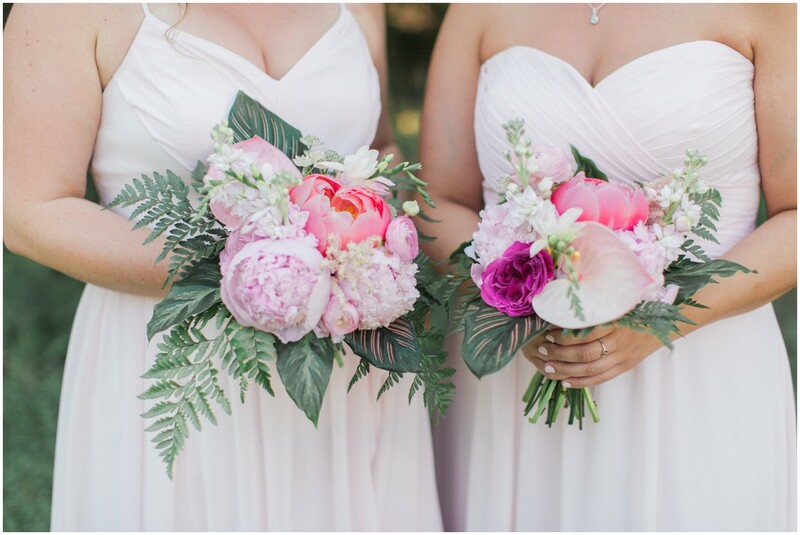 A Sweet Affair Weddings did an incredible job planning this delightful and joyous wedding, and I loved all the tones of pink throughout the day.